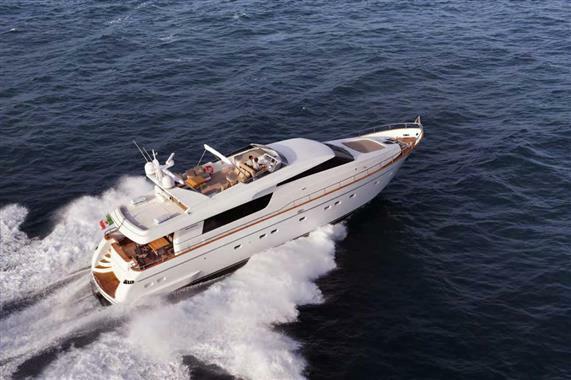 Sanlorenzo 82: Pure Mediterranean look. Sleek white hull with straight sheer, high chine forward and a single black stripe masking the portlights. Once inside the boat, however, simplicity is left behind with a custom interior that could only be termed stark and minimalist. If you enjoy a good turn of speed in an attractive, well appointed and nicely arranged modern style, the SanLorenzo 82 is certainly the yacht for you.